It started off slow and then things just came together to create a classic. A YouTube sensation, Igor Presnyakov’s videos have been viewed over 200 million times! He currently has almost 300 videos online with covers ranging from One Direction to Led Zeppelin. From Buckethead and John 5 to Metallica and Zakk Wylde, these five videos capture brilliant acoustic performances. 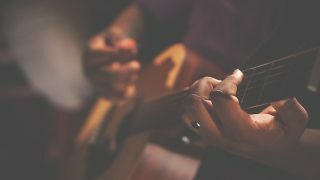 Lesson: James Taylor Teaches Us How to Play "Fire and Rain"
Good rhythm is one of the most important skills to have as a professional musician. Here are some tips for keeping it in the groove and strengthening your strum!